Martha says: "The sites in this portfolio are some of the ones I designed and coded myself. You may also be interested in my work with Extra Mile Design. (Take the web sites tour - I coded most of them, though the lovely designs are the work of others.)" Working with Art-bi-2 and the folks at Ingersoll Rand subsidiaries Hussmann and Krack, subsidiaries of IR, we designed and coded half a dozen sites for the company. One of our designs became the basis for their corporate template - it looks a bit like this one. The Express Scripts project was created to make it easy for physicians to refer patients for financial assistance from pharmaceutical companies. 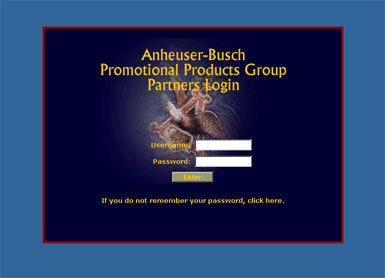 For Anheuser-Busch I designed and coded dozens of intranet and business-to-business sites, and the A-B Wholesalers' Site - a "website that makes websites." 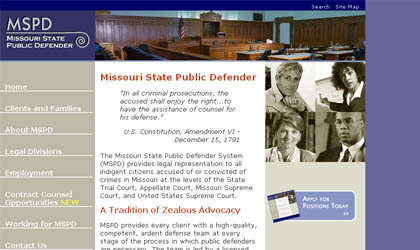 The Missouri State Public Defenders Office web site that was designed and coded in 2004 is, amazingly, still in use! 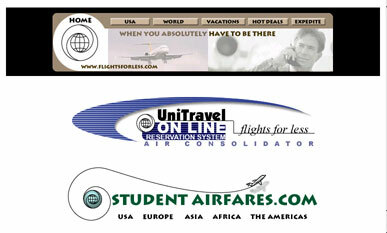 Here are a logo and banner comps I designed. You know you have a logo right when you can use it in lots of different ways..